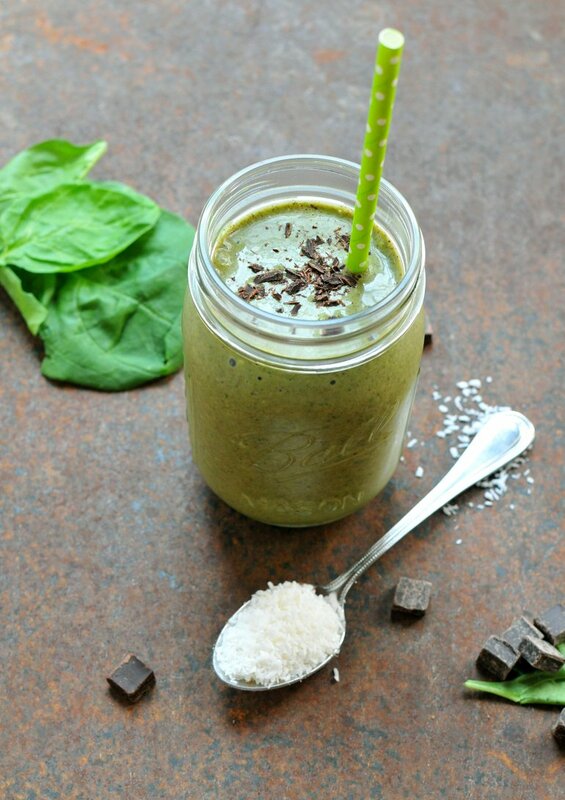 This almond joy green smoothie is the perfect, quick, back-to-school breakfast or hearty after-school snack to tide your kiddo over 'til dinner. And the best part? It tastes like your favorite candy (with almond butter, chocolate, and coconut) but it's full of nourishing ingredients. Here I am again, mentioning those three forbidden summer words: back-to-school. I was just talking about how I wanted summer to last. And enjoying creamsicle after creamsicle on the patio. And splashing in the pool. And glamping and cooking meals over the campfire. And eating my weight in cherries. But now it's almost over. And I've already done all the back-to-school supply shopping for Babycakes. And we're talking about our fall routine and starting a new school and making new friends. And suddenly, it's all getting very real. Summer is almost over. But I'm ok with it. And I'm going to be ready --- to have the best fall yet. Today I'm sharing a healthy back-to-school menu to help you ease back into the reality of school and make the transition a little easier (whether it starts Aug 1 or well into September!) 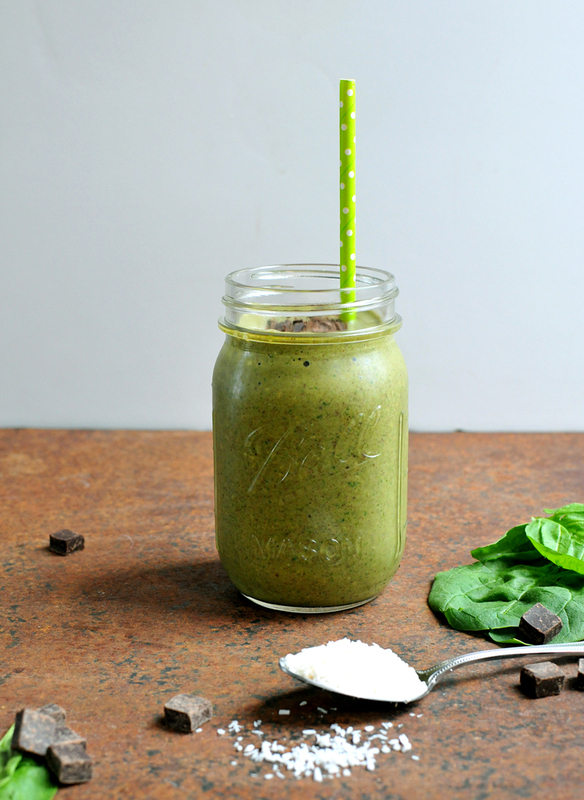 A week's worth of breakfasts and lunches at your fingertips... starting with this fabulous green smoothie. 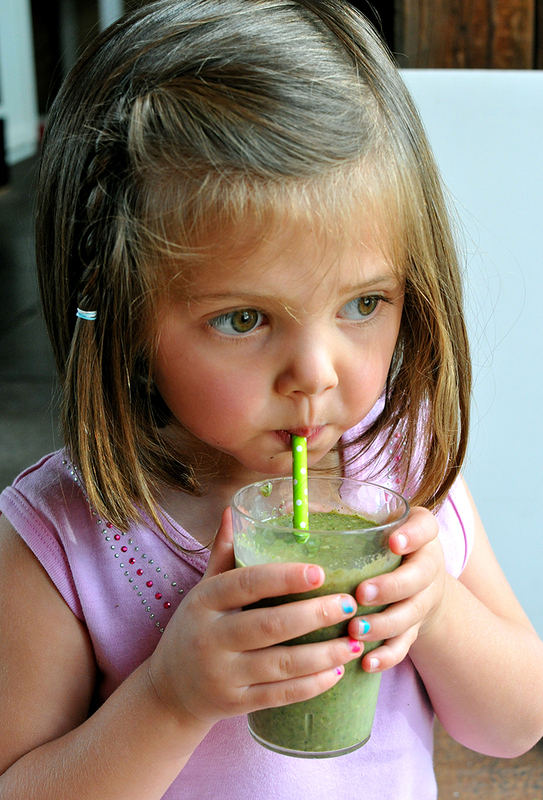 It's 100% kid-approved and devoured -- and filled with fruit, veggies, fiber, protein, and healthy fats that kids need. 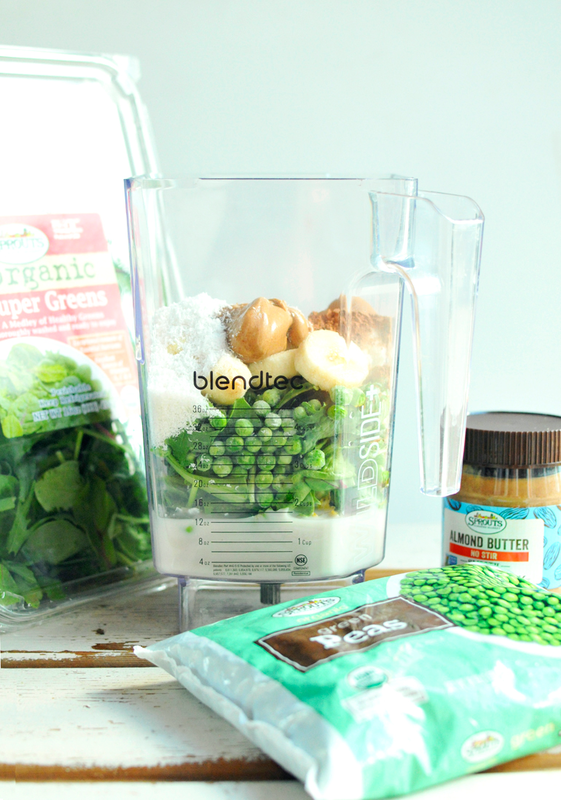 The secret ingredient I love to include in my green smoothies lately is... frozen peas! I know, shocking! I love that Sprouts Farmers Market has so many private label organic foods to choose from: almond butter, frozen veggies, super greens, shredded coconut, spices, coffee... there are literally hundreds--- at really good prices. So you'll have more money leftover to spend on fancy glue-sticks (since when are those so expensive?!?! ), markers, erasers, Kleenex, a new backpack, and all the other things on that school supply list! Disclaimer: this is a sponsored post written by me on behalf of Sprouts. The opinions, text, recipe, and beautiful food photos are all mine. Thank you for supporting brands that support Nosh and Nourish!! I choose them based on what I already cook/create with and feel 100% confident in recommending to you.